Either parents will teach their children God's truth about gender, or else the culture will do so for them. 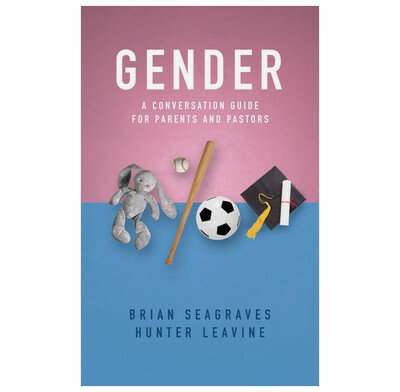 Brian Seagraves and Hunter Leavine have put together a helpful resource for parents seeking to understand the growing complexity around the gender revolution and how to respond with both grace and truth. Director of Policy Studies, The Ethics and Religious Liberty Commission and author of God and the Transgender Debate. Would you like to prepare young minds to navigate discussions about gender or transgender people? This excellent and concise guide provides practical conversation tips to help equip the next generation to confidently stand for biblical truth and compassionately share it with those they know. There has never been a more important time for parents and kids to understand God's good design for manhood and womanhood. Confusion reigns in the culture and poor models prevail in the church. This book so clearly and concisely guides young people toward the liberating truth of who God created them to be. Every pastor, youth pastor, parent or influencer should have this handy guide on their bookshelf, so they can be read to give an answer for the hope that lies within them. Vice-President of Communications, Ethics and Religious Liberty Commission, author of The Dignity Revolution. This is a topic on which there had been and will continue to be a great deal of discussion and debate and there must have been a temptation to write at length. However, this book highlights the key issues and biblical principles in a concise and easy to understand format. Our children and young people are faced with this issue regularly if not daily at school and it is important that we are clear about our opinions as we support and guide them. I would strongly recommend this book to all those working with our caring for children and teenagers of all ages. I found it very helpful. This is a very useful guide for parents and anyone involved in raising children on the number one hot topic of gender. At 75 pages it is easily accessible and breaks down the best way to explain our biblical foundations on this this subject to different age groups. Get one of you are a parent, it is an important resource. Doesn't fully live up to the hype, as it leaves you wanting much more. But it's a great start on an important topic.